A fine Northern Flicker on our birdbath. This entry was posted on 2015/04/29 by Robin. 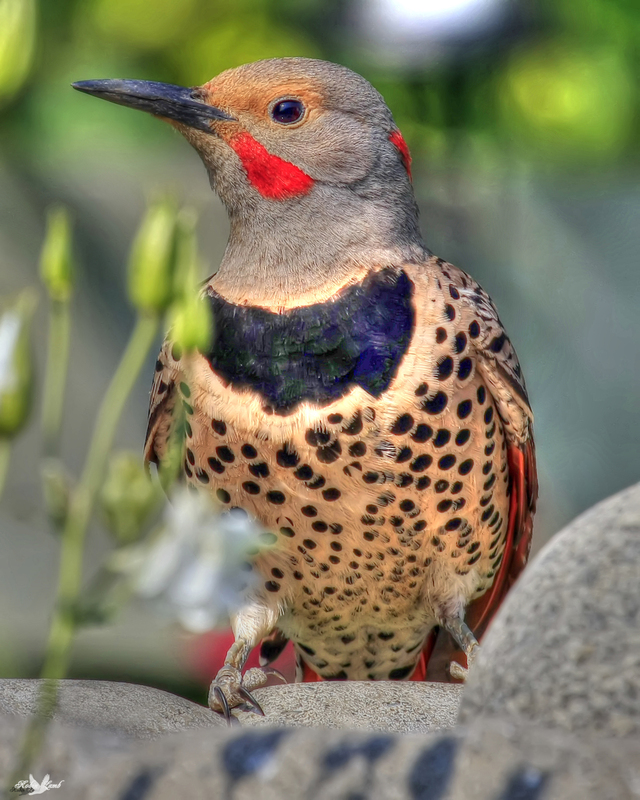 It was filed under Birds and was tagged with Aldergrove, B.C., Backyard, Northern Flicker, Woodpecker. Wow! What a capture! This picture is gorgeous. Great close up. I think they’re beautiful. It came right close to you, Robin, the best you have done. Bob, thanks so much! I was sitting in my chair outside and it was only about 5 metres away! Darko, We have one here that takes great pleasure in tap tapping on the Chimney cap! It’s just wonderful at 6:00 am. We have to get up and throw ice cubes at it, so it goes away!